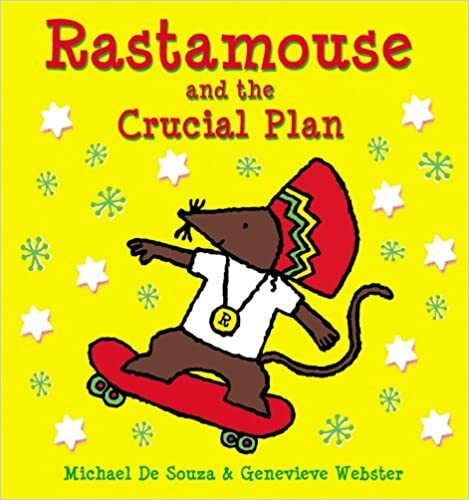 Michael de Souza is the author of the classic book series Rastamouse and the creator of the well-known CBeebies character of the same name; along with bandmates Scratchy & Zoomer who together form Da Easy Crew. He is also co-founder of Little Roots Publishing, who published the original books. Michael came to England in 1960, when he left his native Trinidad to join his parents in Notting Hill, West London. He has spent most of the last 22 years teaching swimming. It was his love of teaching and working with children that inspired Michael to pursue a career in writing. The imagination and bravery of his students in overcoming their fear of water encouraged Michael to dive into the world of writing and publishing. His first book ‘Rastamouse and the Crucial Plan’, was first published in November 2003 and by 2011 it become a much loved animated series. Michael has been reading his books in schools and libraries since 2004. Taking Rastamouse and a taste of the Caribbean to thousands of children and families, locally, nationally and internationally. Listed below are some of what Michael describes as the highlights of his career thus far. In the summer of 2011, Michael and Da Easy Crew were invited to the world famous Glastonbury festival. Michael hosted storytelling sessions each day in the Kidz Field Storytellers Tent and Da Easy Crew gave their world premiere performance of their debut album, Making a Bad Ting Good, in The Big Top. It was a resounding success for both Michael and Da Easy Crew with the latter being asked to headline the show after two performances. Hundreds of children left the festival feeling very *irie! Just as he was coming down from the high of Glastonbury, Michael was whisked off to the twin islands of Trinidad & Tobago, by Camille & Carl Abrahams – the founders of Animae Caribe; an organisation that supports and develops the young and upcoming animators on the island and surrounding islands. Michael was the guest of honor at the organisation’s 10th anniversary, and was asked to conduct workshops, with the young aspiring writers and animators. He was also asked to sit on the judging panel that looked at the presentations on offer by the students. Michael gave a talk on creative writing and on character creation and development. He also read his stories to a large group of nursery and primary school children. “It was a fantastic, emotional experience, and a great pleasure and privilege, to be welcomed back to my place of birth in such a capacity,” says Michael. The year of 2013 brought more surprises for Michael. The year prior, the BBC had produced a two-city tour to Manchester and Birmingham for Mr Bloom (a very special CBeebies Program). The tour was so successful, that the BBC decided to make it bigger, this time taking on eight cities and towns in the UK. Michael and Da Easy Crew were cordially invited to take part in the renamed event, ‘Mr Bloom & Friends Big Day Out’. The tour kicked off in Falkirk and moved onto County Down, Middlesborough, Bolton, Reading, Port Talbot, Leicester and Maidstone. Michael gave three readings per day on stages. He also got the audiences reciting some of his rhymes and poems, which proved to have been very successful part of the performance. Michael joined Rastamouse and the crew on stage and soon got the children and parents rocking to some vibrant reggae beats. It was a very successful tour, attracting over 100,000 visitors. Before he had time to recover from the tour, Michael was on the move again! This time heading up to Gateshead for a two-day mini-tour, one being for the BBC’s One Show. The dust had hardly settled on the mini-tour and Michael & Da Easy Crew were heading up to Scotland to give a three-day performance at the Edinburgh Fringe Festival. They played, danced and told stories to packed houses (500 capacity). It was great fun! In October 2014, Rastamouse & Da Easy Crew were invited to perform at London’s world famous music venue, The Jazz Café. Thus becoming the first ever children’s event to be put on their stage. It was also the first time Andy Kingslow (the composer of Rastamouse album) and the costumed characters had appeared on stage together. A seven-piece band and singer Sara Dowling took the stage while Da Easy Crew took to the dance floor to lead the audience in some cool reggae steps. The place was rocking with happy singing and dancing young fans. Michael read ‘Da Bag-a-Bling’ & The ‘Double Crossing Diva’, which were both very well received. The highlight of 2015 for Michael was a week long festival in the seaside town of Weston-Super-Mare. Michael and the crew were supporting the cast of CBeebies’ Furchester Hotel. There were 3 performances per day for Michael and Da Easy Crew. Michael gave the audiences a special treat by reciting some of his poems and rhymes from his forth coming book, ‘Rhyme Time’ and getting the audience to join in. one of their favourites was, ‘Aunty Dear’. It was estimated that throughout the week, there were more than 20,000 visitors to the festival. Michael’s sessions are interactive, students are chosen to play various characters, props are provided e.g. Rastamouse’s hat, Bagga T’s bling and President Wensley Dale’s radio. Michael reads the narration and leads the students (in some cases teachers) in the Patois dialogue. Michael does assemblies and also works with individual classes. The sessions usually involve a bit of Physical and mental warm up. i.e. memorizing a short verse and some gentle stretching and jumping – these exercises prove to very popular. All the cheese in Mouseland has disappeared, leaving the baby mice at the orphanage starving. The thieving must be stopped. The President knows who to call: Rastamouse, Scratchy and Zoomer of the Easy Crew. Told in rhyme with a Jamaican rhythm and bright fun colours, Rastamouse and the Crucial Plan promotes messages of understanding and peace in a manner engaging for both children and adults alike. 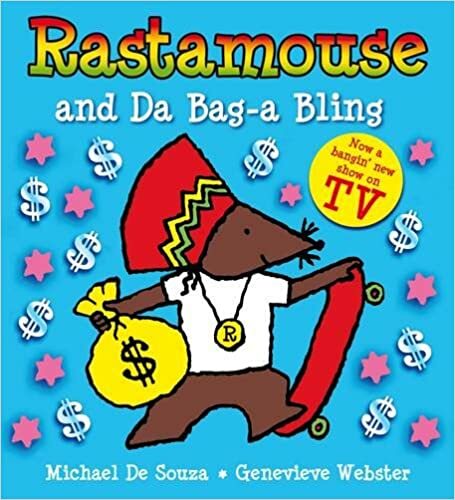 One of the three original Rastamouse picture books that preceded the hugely popular CBeebies television series, RASTAMOUSE AND DA BAG-A BLING sees President Wensley Dale at his wits end. The baby mice have gone missing from the orphanage! Bagga Trouble has hip-hop-notized them with his happenin’ vibes and lured them away to his hide-out, and now he’s demanding a big bag of bling in return for their release. Luckily Rastamouse has a plan to track him down. 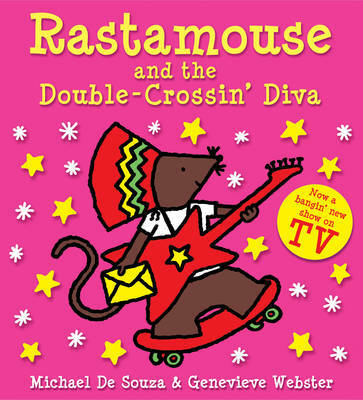 Rastamouse and the Double-Crossin’ Diva stars the back-flippin’, breakdancin’ Missy D. She’s desperate to get to Mousetego Bay to win the one hundred grand prize in the Nuff Song Talent Show – so desperate that she’ll even steal the orphanage bus to get there. With the poor little mice stranded and missing all the fun, it’s an Easy Crew emergency!